The gaming industry is incredibly popular nowadays as it is changing the way of how the world reacts to games. This growing business reaches further than the old-fashioned gaming console and is now used as a money making scheme for various businesses, available via mobile applications and the web. However, game development is not an easy task and developing distinctive games need technical experience. Game development is totally different concept with the traditional app development because it forces you to combine technologies, talent, imagination, and creativeness to give the best user experience. We, at Alliance international, are the leading recruitment company, actively committed to find you talented Indian game developers, who hold immense experience in developing games as per your need. Game developer builds innovative games by leveraging advanced technologies like Core Graphics, AppleScript, Core Audio, OpenGL, etc. We form a transparent approach to your specific requirements, to ensure that you get the best game developers to develop your game. Our recruitment solutions are customized as per the client’s requirements and business goals and range from recruitment process to contractor teams and managed accounts. Hire Indian game developers to design fun-packed games with remarkable animations for your users. The developers possess expertise in developing world-class games that supports spectacular graphics and feature-rich gaming experience. The game developers for hire build fascinating games for businesses with focus on two major consequences; right monetization model and engagement rich gameplay that help earn good revenues. They predict each hurdle and are prepared to handle them proficiently. Well equipped with the knowledge of graphics, dedicated resources leave no stone unturned to develop an attractive game for the specified platform. When you hire game developers through us, you can be assured that the developers would make use of the advanced tools and ultra-modern technologies to build amazing games for Android and iOS platforms. Alliance International gets you the best Indian video game developers known for building engaging and attractive games for several platforms. We believe in building long term relation with our esteemed clients and to ensure it, we provide them what they really want. The game developers always put their best efforts to transform your game idea into reality. Provide flexible and personalized recruitment solutions. Interviewing all candidates before submitting their resume, ensuring they have the ability for the job you need. Provide a detailed report of all candidates to our clients. Provide permanent or temporary staffing solutions to ensure you have options that suit your business requirements. 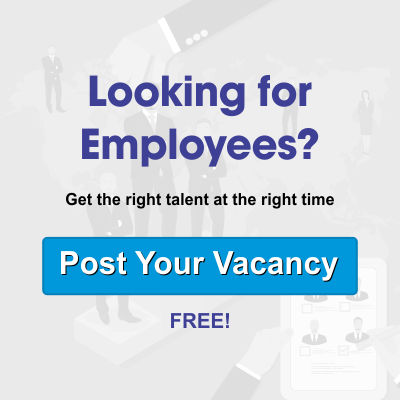 Deliver the best talent in the market today. Our experience and knowledge of your sector ensures we make strong, significant choices every time we send out a short-list. Utilizing state-of-the-art recruiting processes and systems to ensure our recommendations will not put your business at risk. We work with you in a proficient manner where you feel empowered.